Compucessory Multimedia USB Stereo Headset - Multimedia Stereo Headset with USB adapter offers a full, rich stereo sound. Works with any USB compliant computer using Windows 98SE, ME, 2000 and XP or Vista operating systems. Headband and microphone adjust to fit comfortably. 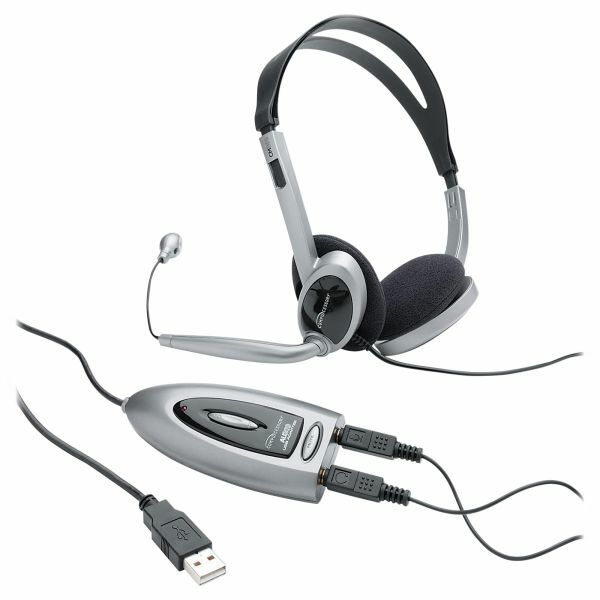 Multimedia headset features volume control, mute function, LED indicator, and 3.5mm stereo input sockets for connecting any computer headset, microphone or speakers. USB specification version 1.1 compliant.